After battling through the epic journey of the college application process, with all its emotional twists and turns, the torturous anticipation, the potential heaven of acceptance or hell of rejection, judgment day has finally arrived. You tear open the envelope and frantically scan the letter for a telling phrase. You have been “offered a spot…” So far, so good… “…on the wait list.” Ugh. Welcome to admissions purgatory. Let’s start with the positives by exploring why the waitlist exists as well as some legitimate reasons for optimism. Colleges do not place students on the waitlist to soften the blow of rejection or to spread false hope. The waitlist exists as a useful tool that provides institutions with a safety net against tough-to-predict yield rates (the number of students who actually enroll divided by the number of accepted students). Thus the percentage of students plucked off the waitlist varies greatly from year to year and some schools are generally more “waitlist-friendly” than others. For example, highly-selective Vassar College accepted 48 of 566 (8.3%) of waitlisted students into the 2018-19 freshman class. Yet, a year prior, they accepted 74 of 472 (15.7%) off of their waitlist. Considering that the college’s overall acceptance rate is under 25%, neither of these figures should be particularly discouraging. Rhodes College, a top liberal arts college in Memphis, Tennessee accepted 51 of 214 (24%) waitlisters for the class of 2021. Perhaps encouraged by that success rate, 306 students accepted a place on the class of 2022 waitlist and only 42 were accepted for a 13.7% clip. 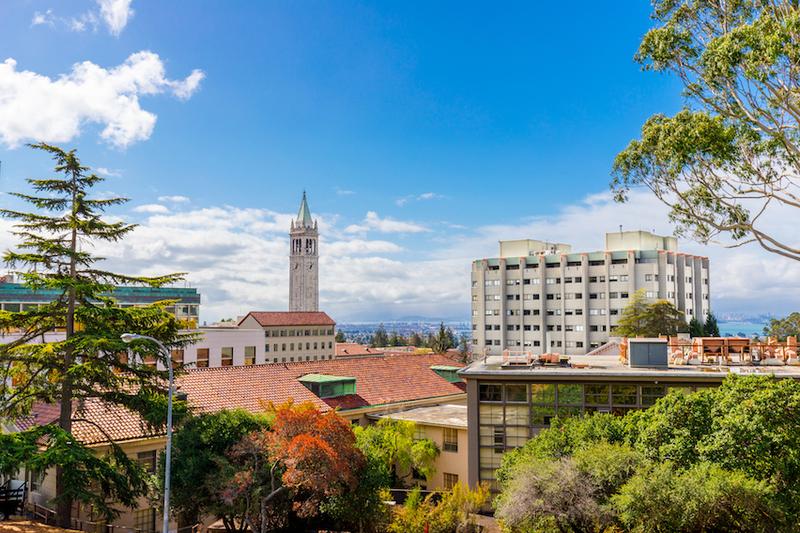 Cal Berkeley may the most extreme example of a reason to keep your spirits high; they accepted 2,045 of the 3,725 waitlisted students aiming to join the 2017-18 freshman class. Macalester College, a Midwestern liberal arts gem in Minnesota took an equally encouraging 54% of purgatory-dwellers that same cycle. Notable elite colleges that have, in recent years (even if not every year) sported double-digit waitlist acceptance rates include: University of Michigan (11.4%), Oberlin College (16.4%), and Lafayette College (27%). While one year’s results is not exactly a reliable signpost for what lies down the road, it is important to remember that you may simply luck into a good year for waitlist acceptances. Of course, the odds are not exactly forever in a student’s favor. The flip side of those moderately encouraging stats above is that many elite schools take only 1-2% off of their waitlists—others, at least in certain years, do not accept a single waitlisted student. Amherst is an extreme example of the sheer volatility of waitlist acceptance rates. Regular applicants in 2017-18 experienced a 12.9% acceptance rate and over 10% of the 590 waitlisted students ended up with an offer of admission. Overall, those seeking to join the 2018-19 freshman class were accepted at an almost identical 12.8% rate and yet none of the 836 hopefuls were plucked off of the waitlist. Similarly, of the 1,903 students offered a position on the class of 2022 Bates College waitlist, 994 signed up, and not a single student was ultimately offered admission. Two years prior, 49 students entered Bates via the waitlist. The Ivies tend to have sizable numbers of students accepting places on the waitlist, which makes sense since they are often high-achieving students’ first-choice schools. Below are the most recent statistics available for Brown, Cornell, Dartmouth, Princeton, and Penn. Unfortunately, Columbia, Harvard, and Yale do not report waitlist numbers. Some schools, like Carnegie Mellon offer students the option of joining their “Priority Waitlist,” which means you pledge to attend if admitted. It’s like an early decision equivalent to the waitlist round. In the class of 2022 admissions cycle, 109 of 2,310 students were offered spots in Carnegie Mellon’s freshman class. The previous year only four of 2,834 students were successful so, again, it remains a guessing game. For all other schools, the number one thing students can do while on the waitlist is communicate clearly, firmly, and respectfully to the admissions office that, if offered, you will accept a spot at the school. Admissions officers like knowing that they have students who will enroll if called upon. A sincere letter to the admission office and an occasional check-in from a guidance counselor will suffice. Waitlisted students who obsessively pepper the Dean of Admission’s inbox with crazed inquiries typically do not do themselves any favors. Remember, colleges are looking for the next productive member of their freshman class, not the next deranged campus stalker. Of equal importance to expressing a student’s intentions is, not surprisingly, maintaining a strong academic performance. Spring grades, another teacher recommendation, an SAT or ACT retake, or a recent unique accomplishment can still sway an admissions committee. Remember, no matter what happens, you are not in dire straits, you are not desperate, and your future does not depend on getting into any one college or university. None of your dreams are squashed if your call off of the waitlist never comes. You will still study biology/computer science/engineering/political science/psychology (or any other major) at a reputable institution with experienced PhD-level professors. Your path toward your graduate school/career goals will still be just as clear as ever before because you are you and you are bright and hard-working. While you wait for a decision, you will still want to submit a non-refundable deposit at your first-choice school to which you’ve been accepted. There are no bonus points awarded for declaring that if you do not get off of the Tufts’ waitlist, you’ll skip college altogether and become a street performer. If the call off of the waitlist never comes, grieve as you must, and then move on and get ready to thrive at your second-choice school. After all, the second-choice school surely has a waitlist full of people stuck in their own purgatory who can only dream of being in your shoes—it’s all about perspective. College Transitions offers updated waitlist statistics at 142 of the nation’s most competitive colleges. Click here to access the most recent waitlist statistics.